With hundreds of new schools needed in Victoria in the coming decade, how will they meet future student and community needs? 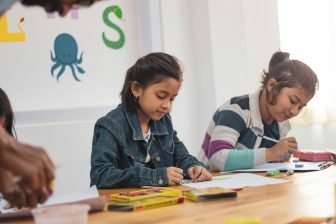 Australia will need an estimated 400 to 750 new schools to accommodate 650,000 additional students within the next decade, costing state governments up to A$11 billion, according to the Grattan Institute. In Victoria, as many as 200 new schools are projected to be needed in this timeframe.These new schools present an exciting opportunity to deliver buildings that support the way education happens in the 21st century, and better serve the broader community. What shapes a school building? These findings have influenced recent updates to government policy, including the new Victorian School Building Authority’s School Facility Area Schedules and Design Guide. They will shape the next generation of schools by informing school communities and architects about what they should build, based on a given school’s enrolment, to ensure the buildings are fit-for-purpose in the long-term. They will also help ensure equitable provision of facilities across the state. The new area schedules introduce a three-layer approach to defining school facility designs, based on Area Groups, Space Types and Suggested Sub-spaces, moving away from the historic practice of specifying ‘room types’. Instead, the focus is on the types of learning environments that are needed for effective, contemporary teaching and learning. This includes the varied ‘learning settings’ that can support personalised learning experiences for all students, like hands-on maker spaces, collaborative group settings and quiet retreat spaces for consultation, ideation and reflection. At the same time, the schedules provide a balance between meeting the functional requirements of school facilities and enabling opportunities for continued design innovation. 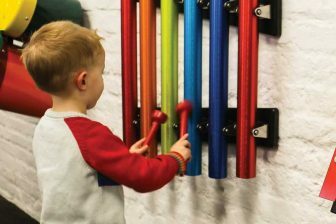 Historically, curriculum changes have been a significant driver of school design as new curricula often require tailored spaces, for example for science, drama, music, or design technologies. This is also increasingly the case for primary schools – particularly for teaching science and technology. With rapid technological and societal changes, learning spaces also have to support new forms of activity. Largely gone are the days of classrooms filled with rows of tables and chairs. Buildings and learning spaces now need to accommodate a wide range of learning experiences to engage students in meaningful and memorable activities across the day. Things like developing digital media to demonstrate understandings of English texts, creating theatrical performances with peers to convey learning about sustainability, or constructing and programming robots to undertake certain tasks as a means of developing problem-solving skills. With approximately four per cent of all students requiring special education, we also need new approaches for supporting them. The widespread adoption of Universal Design principles (designing products or environments so they can be used by as many people as possible) is an important step. Offering inclusive facilities on school sites that feature accessible movement pathways, hearing augmentation systems, as well as consultation or therapy rooms, should make schools more welcoming and accessible to students with reduced mobility, hearing, sight or other physical or cognitive impairments. Sensory gardens, respite spaces, kitchens, laundries, and a range of other spaces, along with well-structured support practices, can aid inclusive education. To encourage this for existing schools, the Victorian State Government has introduced the A$30 million Inclusive Schools Fund for projects that boost inclusion. Historically, school facilities have been some of the most under-utilised public assets in Australia, with most used sparingly outside of school hours. But the idea of schools as community hubs has received increased attention in recent years, especially in Australia’s rapidly growing urban and regional centres. 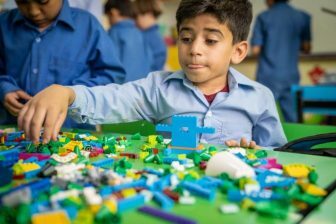 School sites are no longer envisaged as 9:00am to 3:30pm settings for the exclusive purpose of schooling, but as valuable assets that also support a range of programs and services for individuals, families and community groups. Gymnasiums, outdoor courts, playing fields, swimming pools, early learning centres, maternal and child health facilities, and a range of other spaces can also be used as community resources; leading to improved school-community relations, and expanding the range of services delivered from school sites to local communities. The types of outdoor spaces needed in schools tend to vary depending on cultural context and location, with different climate zones, topography, suburban and rural settings all influencing what takes place outside. Regardless, outdoor spaces are increasingly being recognised as important for learning, as well as socialising, exercising and relaxing. 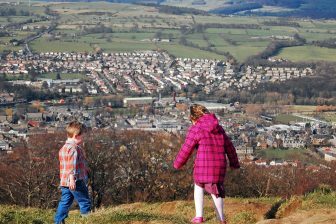 School communities are being encouraged to use their sites as ‘learning landscapes’, blurring the historic cultural distinctions of ‘indoor learning spaces’ and ‘outdoor play spaces’. These more naturalistic environments can also contribute to wellbeing. The more inclusive and better attuned our school buildings and learning spaces are to current educational practices, the more opportunities there will be for all students to learn and thrive. We look forward to seeing the influence of new government policy on school design in Victoria. We expect the School Facility Area Schedules and Design Guide to help shape the design of hundreds of entirely new schools, as well as thousands of school facility upgrades in the next decade. 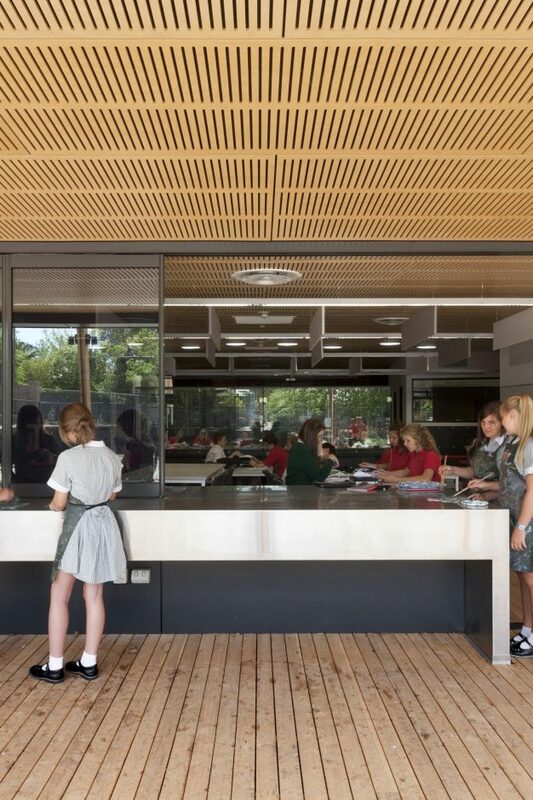 With Victoria already recognised internationally as a school system that is leading design innovation, we also expect recent policy changes and subsequent built outcomes to influence the design of schools throughout Australia and around the world. The Learning Environments Applied Research Network (LEaRN) is based at the University of Melbourne. Dr Benjamin Cleveland, Associate Professor Clare Newton and Isabella Bower Research Coordination and Communication Officer, University of Melbourne.